Hyperparathyroidism: High Calcium Caused by Parathyroid Gland Tumors. Hyperparathyroidism: Disease of the Parathyroid Glands. What is Hyperparathyroidism? Hyperparathyroidism is the main disease of parathyroid glands. It is a slowly destructive disease that makes people feel bad while it slowly destroys many tissues of the body. Hyperparathyroidism is caused the over-production of parathyroid hormone (PTH) by one or more parathyroid tumors. This parathyroid page discusses what happens to your body when you have a parathyroid tumor and develop hyperparathyroidism. When too much parathyroid hormone is produced by an overactive parathyroid gland. This is called hyperparathyroidism. "There is no other disease that is so easily cured which has such a tremendous impact on a patient's health and their quality of life"
Hyperparathyroidism occurs when one (or more) of the four parathyroid glands grows into a tumor and behaves inappropriately by constantly making excess parathyroid hormone. This award-winning video explains hyperparathyroidism in 5 minutes. You will see one of the parathyroid glands grow into a tumor and make too much parathyroid hormone which goes to the bones and removes calcium from the bones. This tumor has lost its control mechanism and makes large amounts of parathyroid hormone. Thus, even when the blood calcium level is high--when the parathyroids should not be making any hormone at all--one of the glands keeps making hormone. Remember as you read about hyperparathyroidism on these pages, it is a hormone problem secreted by a benign parathyroid tumor. It is not a cancer problem, however it can increase the occurrence of other cancers. This animation will show you how the tumor in your neck causes calcium to leach out of the bones and clog your arteries and kidneys, and make you feel bad. Sometimes hyperparathyroidism makes people miserable within the first year or two of having high blood calcium (see our page on symptoms of hyperparathyroidism). Other times it can go 10 years without causing too much problems other than fatigue, bad memory, kidney stones, and osteoporosis. But make no mistake about it, hyperparathyroidism kills people--it just takes 20 or so years to do so. Hyperparathyroidism: What Causes Excess Parathyroid Hormone Production? The most common cause of excess hormone production (hyperparathyroidism) is the development of a benign tumor in one of the parathyroid glands. This enlargement of one parathyroid gland is called a parathyroid adenoma which accounts for about 70 percent of all patients with primary hyperparathyroidism (the other 30% will have more than one bad gland, see chart below). This out of control parathyroid gland is essentially never cancerous (virtually 100% of them are benign tumors), however, it slowly causes damage to the body because it induces an abnormally high level of calcium in the blood which can slowly destroy a number of tissues. Parathyroid adenomas typically are much bigger than the normal "grain-of-rice" parathyroid and will frequently be about the size of an olive or grape. Thus, the typical patient with hyperparathyroidism will be cured of the disease when this "olive" size tumor is removed. Up to 30% will have more than one tumor, so your surgeon should test to make sure the others are all good. People live Typical Parathyroid Adenoma Causing Hyperparathyroidism just fine with less than four normal parathyroid glands that will be about the size of a grain of rice. The picture to the left is a picture of a typical parathyroid adenoma (parathyroid tumor) that causes hyperparathyroidism. This is a very average tumor size, shape, and color. Most people with hyperparathyroidism will have a tumor in their neck about this size, some will have two. Remember, the normal parathyroid gland is about the size of a grain of rice... but one cell inside this normal parathyroid gland went out of control and started reproducing itself until a large tumor developed. This tumor will almost always continue to grow until it is removed. As it grows, it makes more hormone and will make you feel worse. This tumor is constantly making parathyroid hormone which is what takes the calcium out of your bones and makes the calcium in your blood too high. (We have an entire page of photographs of parathyroid tumors so you can see what these little boogers look like!). Where did this parathyroid tumor come from? This is a great question, and the answer is quite simple... In most cases we don't know WHY parathyroid tumors form. But this is HOW a parathyroid tumor forms: The normal parathyroid gland is made up of about 80,000 very small parathyroid cells. Each one is exposed to lots of blood flow and they all measure the calcium in the blood. When the calcium is low, they make parathyroid hormone (abbreviated PTH). When the calcium is high, they stop making hormone. They normally turn on and off hundreds of times per day. All of these cells act independent of the other. Occasionally, one of these cells will go nuts and start reproducing itself... a million or more times. The crazy "mother" cell divides into two, then does it again, and again, and again; many times a day. Over a period of several years a tumor develops. This tumor mass (seen in the photos on this site) is made up of millions of cells all of which are sisters from one crazy "mother" cell. Each of these "daughter" cells inherited the craziness of the mom, and they don't pay attention to the calcium level in the blood. They are out of control, making PTH whenever they want, in as much concentration as they want. When you look at all the pictures of the parathyroid tumors on this web site, you will see a small (rice-size) yellow NORMAL gland with a dark-red tumor growing out of it. The tumor mass is composed of millions of crazy daughter cells from one mother cell that went nuts. If you have surgery at the Norman Parathyroid Center, you will get a photo of your tumor, and you can almost always see the normal gland from which the tumor arose. This graph shows the blood parathyroid hormone levels in 18,000 patients operated on at the Norman Parathyroid Center for primary hyperparathyroidism. Normal blood levels of parathyroid hormone vary according to the lab that measures the hormone, but most labs have a normal level between 15 and 65 pg/ml. Each of the patients represented here had a parathyroid tumor removed from their neck. As you can see, most (but not all!) of them have parathyroid hormone levels that are above normal (above 65). Parathyroid hormone (PTH) levels in 18,000 patients with hyperparathyroidism at the Norman Parathyroid Surgery Center. Most patients with hyperparathyroidism due to a parathyroid tumor have high PTH levels, but many do not. One final note about this graph which shows Parathyroid Hormone (PTH) levels in patients with primary hyperparathyroidism. This graph is different from the graph at the bottom of our diagnosis page which shows CALCIUM levels in patients with primary hyperparathyroidism. These graphs have the same shape and thus you could confuse them... but one looks at the hormone levels in the blood, and the other looks at the calcium level in the blood. These two graphs are central to the diagnosis of hyperparathyroidism. About 30% of people with Hyperparathyroidism will have more than one parathyrroid tumor! Approximately 25%-30% of patients with primary hyperparathyroidism will have two parathyroid adenomas while having two normal glands. This is one of the reasons why parathyroid surgery is tricky--because some people will have one tumor while others will have more than one. This is why the most experienced (best) parathyroid surgeons will examine all four parathyroid glands during the operation--so a second tumor is not left behind. Surgeons who do lots of parathyroid surgery will not just take one parathyroid tumor out and quit the operation, instead they will spend the necessary time to make sure there isn't a second tumor (watch our surgery video to see Dr Norman find a second tumor). The most common reason that people have an unsuccessful parathyroid operation is because the surgeon couldn't find the tumor. The second most common cause for people to have a failed parathyroid operation is because they had two tumors and the surgeon removed only one. We operate on an average of two people every day because they went to an "expert parathyroid surgeon" who operated to remove a tumor they saw on a scan, watched the hormone decrease by half, and quit the operation without looking for a second tumor. Since 25%-30% of people with hyperparathyroidism will have two parathyroid tumors, then it is impossible for any surgeon to provide you with a long-term cure rate (beyond 5 years) if they only look at one gland and quit the operation. As you chose your surgeon, ask hard questions and be careful of surgeons who claim to be experts, but will only look at one gland and measure hormone levels. This does not take any expertise--any surgery intern can take out a tumor shown on a scan and not check the others. An even rarer situation occurs in about 1.5 percent of all patients with primary hyperparathyroidism will have an enlargement of all four parathyroid glands, a term called parathyroid hyperplasia. In this instance, all of the parathyroid glands become enlarged and produce too much parathyroid hormone. This is a much less common scenario but the end results for the patient are identical. On a different page of this web site we discuss the importance of an experienced parathyroid surgeon. Now you can see why experience is so important--sometimes the disease is caused by one gland, sometimes two glands, and rarely three or all four glands. Experience matters when operating on parathyroid glands! One last word on parathyroid hyperplasia; it is not very common. Unless you are on kidney dialysis or have taken lithium for over 20 years, we can tell you the the chance of you having parathyroid hyperplasia as the cause of your hyperparathyroidism is less than 1%. Please do not dwell on this. If your doctor tells you BEFORE your operation that he/she thinks you have hyperplasia, then get up and walk out. There is no way to know this ahead of time (unless you have been on kidney dialysis). It makes no difference to you how many parathyroid glands are bad as long as you have an experienced surgeon who can competently, safely and quickly assess all four parathyroid glands. Please, we beg you, forget you ever heard the term "4-gland hyperplasia"... you do NOT have this... so don't ask us about it--it makes our eyes glaze over! But again, this is why you want your surgeon to test all four glands--so you are cured and can feel better (and live longer). Watch the 13 minute video of Dr Norman performing a mini-4-gland parathyroid operation. In this video (there is no blood!) he takes out a big tumor and then while checking the other three glands finds a second tumor that did not show up on the scan! Remember, scans are wrong more often than they are right! Does Too Much Parathyroid Hormone and Calcium Cause Symptoms? It is almost never normal to have a high calcium level in your blood. Said differently, it is almost never for adults over 40 to have persistent calcium levels of 10.1 or higher. See our page on "Normal Levels According to Age", since many labs will show the upper limit of normal for blood calcium up to 10.5 mg/dl--which is for teenagers and not adults over 30. Almost all patients with high calcium in the blood have one or two bad parathyroid glands that is causing it. Your doctor may look for other causes... but the overwhelming odds are that you will end up with parathyroid disease. We have an entire page discussing the other even more rare causes of high blood calcium on this web site, but don't spend too much time there reading about things you don't have. Persistent calcium levels over 10.1 (in an adult) is almost always a parathyroid tumor. The bad parathyroid gland(s) is a tumor. It is a benign tumor (not cancer), but it is a tumor. Most parathyroid tumors are between the size of peanut and a grape. Rarely they can be as big as a golf ball... or bigger. However, the size of the tumor doesn't matter too much, just how much hormone it produces and how much calcium it is taking out of your bones. We have photos of these tumors on another page. If you have a big tumor, you are the loser not the winner. These are slow growing tumors and if you have a large one, it usually means your doctors have missed it for years. An expert in parathyroid surgery can fix this problem in 20 minutes or less. So if your surgeon says that it will take 2 or 3 hours in the operating room, you may want to find an expert surgeon. If he says it may take about 1.5 hours, then you may want to ask if it might take longer--you can be assured that he will say "yes, it could take as long as 4 hours or more". As you will read on this site and every other web site (or book) ever printed on the topic, picking your surgeon is the most important step, since the outcomes (cure rates and complications) are directly related to surgeon experience. There is no other area of the body that has such variable anatomy. Removing the bad parathyroid tumor will cure the hyperparathyroidism and will make the calcium level go back to normal within hours. Of course, this is only the case if the patient only has one tumor. We really should say "removing all of the tumors" will cure the patient, remembering of course, that you CANNOT take all four parathyroid glands out! It is very rare for people to get parathyroid disease (hyperparathyroidism) twice--if the surgeon did the operation correctly the first time, analyzed all four parathyroid glands, and carefully removed the tumor(s) by the root.. Said differently, surgery cures this disease, it is not a treatment for the disease. You should never get hyperparathyroidism again if you have a surgeon who cures you the first time. If your surgeon can't tell you that his/her cure rate for you will be 97% or higher, then go somewhere else. If he/she says the cure rate will be 90% or better and he/she is only going to look at the one parathyroid gland that shows on the scan, then know this is a fib. This isn't possible. Our office is full of people who were told this. If 30% of people have more than one tumor, then how can any surgeon know ahead of time that he/she has >90% cure rate if they only look at one parathyroid gland and stop the operation? Removing the parathyroid tumor will change the patient's life. It often will make you feel 10 years younger, and literally, change your life. Read about symptoms. Read testimonials from about 2,000 patients. Removing the parathyroid tumor will make you live longer (statistically). From a statistical standpoint, patients with hyperparathyroidism die an average of 5-6 years sooner than expected. This is because the incidence of several cancers is increased by 1.8 to 3-fold (breast, colon, kidney, and prostate), the incidence of high blood pressure is 5.5 times higher, stroke is 4 times higher, heart disease is 2.5 times higher, atrial fibrillation (A-Fib) is 8 times higher. This is all explained in more detail on our Symptoms page, including footnotes to medical journals. Thus, parathyroid tumors are benign (not cancerous), but they slowly destroy your body, eventually making you feel miserable, and increasing your chance of several cancers dramatically. Do NOT "watch" your high calcium levels! How Many People Get Parathyroid Disease? (Hyperparathyroidism)? The incidence of parathyroid disease (hyperparathyroidism) is 1 in 80 people in their lifetime (more than 1% of people). This rate is much higher in women over 50 where the rate is 1 in 50 or so. If you want to see how common this is, take a look at the map of people we have operated on and you will see that we operated on a neighbor of yours. All of you will know somebody with hyperparathyroidism. Unfortunately, about 70% of patients with hyperparathyroidism do not know they have it... they have high calcium levels but their doctors don't know what this means and so the high calcium is ignored. Often, when something bad happens (kidney stones, bad osteoporosis, severe depression), then the doctors pay attention to the high calcium. Hyperparathyroidism occurs in women more often than men (almost exactly 75% women, 25% men), and the average age is about 59 years old--but people of any age can get it. Young people do get parathyroid disease, but this is rare. We have an entire page dedicated to this topic--Read about Who Gets It? How Many Parathyroid Glands are Bad? <<<1 % cancer of the parathyroid (extremely rare). Do NOT worry about parathyroid cancer! Importantly, 25% to 30% of people with hyperparathyroidism have more than one parathyroid tumor and there is no way of telling who this is before the operation. In fact, there is no way to know which patient has one tumor and which has two without looking at each gland during the operation by looking and testing each of the 4 glands. Be careful of any doctor that says to you "the scan shows that you only have one parathyroid tumor" because scans are wrong more often than they are right. Nobody can tell you before the operation that you have just one tumor. We perform 4020 parathyroid operations per year and we look at all four glands in virtually all of our operations because you cannot tell who has one tumor and who has more than one without actually looking at them. Watch the 13 minute video of Dr Norman performing this operation---the scans very clearly show this patient has ONE parathyroid tumor, but when Dr Norman looks at all four glands he finds TWO tumors. Also, you will know instantly that your doctor is not an expert if they tell you before the operation that you are one of the 30% of people that have more than one tumor. There is no way to know this before the operation, and there is no way to know this in the operating room without actually checking all four glands. Having all four parathyroid glands being bad is RARE (remember, only about 1.5% of people with hyperparathyroidism will have 4 bad parathyroids). Most of the patients with 4 bad parathyroid glands have 4 bad glands because they are 1) on the drug Lithium for many years, 2) have been on kidney dialysis (called secondary hyperparathyroidism), or 2) are young (teenagers) who have a parent and/or brothers/sisters with this disease (called "multiple endocrine neoplasia syndrome (MEN Syndrome)). Thus, if you aren't a teenager with a parent with hyperparathyroidism, you haven't been on kidney dialysis for a few years, or you have not been on the drug Lithium for 20 or more years, then you have less than a 1% chance that you have 4 bad parathyroid glands. Bottom line, if your doctor thinks treating hyperparathyroidism complex or complicated and dangerous, and tells you that you could have 4 bad glands then you may want to take this page to them (or find a different doctor because they are talking about something that they simply don't know about). Hyperparathyroidism can be cured quite easily if you chose a surgeon that does this operation on a weekly basis (discussed on other pages of this web site). Almost everybody with primary hyperparathyroidism can be cured in 20 minutes or less (we examine all four glands in almost every one of our patients in less than 20 minutes). If your doctor or surgeon tells you that surgery is dangerous and complicated... then you may want to find a surgeon that thinks it's safe and simple. DO NOT let the concept of having one bad gland versus 4 bad glands confuse you or influence your treatment! This is one of our biggest pet peeves--the misunderstanding of 4-bad glands. You do not have four bad glands! Please watch the movie of Dr Norman performing a mini-4-gland parathyroid operation--the entire operation takes less than 13 minutes and he removes two parathyroid adenomas (when the scan only showed one), and makes sure the other two glands are perfect. You will learn a lot by watching this one simple video. Essentially all patients with hyperparathyroidism will benefit from having surgery. The high blood calcium is far more dangerous than high cholesterol and it is a sign that your body is being eaten away from the inside. This is a slowly lethal disease that makes most people feel miserable while it destroys their body. The only choice you really need to make is to choose your surgeon. Then let the surgeon worry about 1 bad gland, 2 bad glands, or 4 bad glands. As an example, the only difference in an operation for one bad gland and 4 bad glands when we are performing the operation is that those who have one bad gland have an operation that takes about 17 minutes on average, and operations for 4 bad glands takes about 17 minutes on average. (HA! there is no difference!). Everything is exactly the same... same anesthesia, same incision, same 1.5 hours in the recovery room... everything is the same. Why are we spending so much time talking about this? Because this is a very frequent worry that people have and it drives us CRAZY! Doctors who know little about this problem get a scan (that is wrong more than it is correct) and the scan doesn't show a tumor (because scans are terrible at finding tumors) so the poorly-informed doctor says "you must have 4 bad glands". THAT is when you get up and walk out. If you pick your surgeon wisely, you will not have to worry about any of this because your surgeon should check all four glands. If your surgeon isn't going to check all four glands, then you should have some concern about not being cured--but worry about a second adenoma being left behind (about 25% of the time), don't worry about 4-gland hyperplasia (about 1% of the time). How the One Bad Parathyroid (the Adenoma) Affects the Other Three. To teach how the parathyroid glands respond normally to calcium levels and how the parathyroid glands are supposed to work, we will use your home's heating system in the winter as an example. We all have a heater in our homes that is controlled by a thermostat. When we set the thermostat on 70 degrees, it is this temperature that the thermostat will constantly monitor and turn on the heater when the temperature drops. If the temperature drops to about 68 degrees, the thermostat detects it and turns on the heater. The heater warms the room until the thermostat recognizes the increase in temperature, and when it reaches 72 degrees the thermostat turns OFF the heater. In reality, the heater in your home will turn on and off about 50 times per day. The temperature in the room will vary some, from a little above 70 degrees to a little below, but we don't notice it when the thermostat is working normally. All of our parathyroid glands have a built in "thermostat" (all endocrine glands do!). The thermostat in the parathyroid glands is very sensitive to calcium levels in the blood. The normal 'setting' for the thermostat in the parathyroid glands is for a calcium level between 8.5 and 10.2. Calcium is not just responsible for our bone strength, but it is the source of electrical energy in our nervous system and muscles, thus humans want this element controlled very, very well. Calcium is the ONLY element in the body that has its own control system! Normal parathyroid glands constantly monitor the calcium in the blood. When the calcium levels drop, the parathyroid glands turn on... and make parathyroid hormone (PTH). The PTH acts directly on the bones within minutes and takes some calcium out of the bones (we use the bones as a storage system for calcium). Now the level of calcium in the blood will increase a little--and the parathyroid glands recognize this and turn themselves off. Just like the thermostat that turned on when the temperature got low, the normal parathyroid glands turned on when the calcium got low. And, just like the thermostat that turned off when the temperature in the room got warm, the normal parathyroid glands turn off and stop making PTH when the calcium rose a little bit. This is why your calcium will vary every time your doctor measures it... it's always a little different, but it is always supposed to be in the normal range. What happens in patients with Hyperparathyroidism? Well that is now a simple answer. One of the parathyroid glands developed a tumor. That tumor (an overgrowth of cells) will be about the size of an olive (typically) and it will do what it likes to do...MAKE HORMONE! So, you have this one big, bad parathyroid gland that is making hormone 24 hours per day... its thermostat is broken! It does NOT respond to the high calcium levels and turn off...instead it is stuck in the "on position", and constantly makes parathyroid hormone (PTH). Well, this PTH keeps working on your bones, taking calcium out of the bones and putting it in your blood. The bones become thin (osteoporosis), and the calcium in the blood is elevated out of the normal range. We get nervous system symptoms due to the brain not liking the high calcium levels (depression, tiredness, mean-ness, lack of energy, problems sleeping, etc). We can also get kidney stones and other problems due to all the extra calcium floating around. What happens to the NORMAL parathyroids when you have one bad parathyroid gland? Well that answer is now clear also. In the overwhelming majority of people with hyperparathyroidism, they will have one bad gland and 3 normal glands. The one bad gland is big and producing PTH all day long...making the calcium go high. Well, the three normal glands will still have a normal thermostat. They will recognize the high calcium and shut down their hormone making apparatus. Thus they become dormant and go to sleep. Since most people with parathyroid disease don't get diagnosed until they have had it for years--the normal parathyroid glands will have been dormant for years by the time the surgeon operates to take out the bad one. This is why experienced surgeons will provide their patients with calcium pills to take for the first few weeks after parathyroid surgery. It will take a week or two for the normal parathyroid glands to wake up and begin to regulate the calcium normally (to get their thermostats working properly). Without taking lots of calcium during that time, your calcium can drop too low and you will get sick (have problems with your nervous system and brain, like feel bad, feel 'foggy' and confused, fell anxious and 'doomed', feel out of control; get tingling in your hands and fingers and around your mouth, get cramps in your hands and feet). These are all symptoms of LOW calcium, and they can happen to patients after a successful parathyroid operation. The symptoms are temporary, and will go away after the nervous system gets used to the new 'normal' calcium levels. It may take 2 - 5 days, but these symptoms will always go away, and they are always treated the same way--take more calcium! If you get these symptoms after a parathyroid surgery--it means the surgery was successful, but your body doesn't like the new calcium levels yet and wants more calcium. You MUST give it more calcium if you have these symptoms. (Please understand, 94% of people will NOT have these symptoms as long as they take their calcium pills after the surgery)... and the ones that do have symptoms of low calcium simply have to take more calcium. (Note, these statistics come from our recent publication where we studied this in 6000 consecutive patients who went home within 1.5 hours of their operation. Of course, this is why all our patients get our home phone and cell phone numbers). Do I Really Need to Get this Parathyroid Tumor Removed? The simple answer is this: yes. Having high calcium in your blood is much more dangerous than having high cholesterol. Having high blood calcium is more deadly than having thyroid cancer. In fact, having a parathyroid tumor caries the same risk of early death as having diabetes. The high calcium increases your risk of stroke, heart attack, and heart failure due to the aggressive buildup of calcium in the arteries. The high calcium increases the risk of developing several cancers by 2 to 3 times, including breast cancer, colon cancer, kidney cancer and prostate cancer. Of course, the high calcium came from the bones, so you will get osteoporosis and even severe osteoporosis that cannot be treated with drugs--and your bones will fracture. Of course, the high calcium makes you feel tired, increases your blood pressure, makes you fatigued and takes away the joy of life. Read more about the symptoms of hyperparathyroidism on our Symptoms page. The good news is that hyperparathyroidism is a disease that is easily cured. We don't "treat" hyperparathyroidism like you would "treat" diabetes. Parathyroid problems are cured by simply taking out the parathyroid tumor that is causing all the troubles. Once it is out, the disease is cured and the risk of cancers, stroke, heart attacks (etc) associated with untreated hyperparathyroidism will decrease. Get the tumor out and put this behind you! Feel better, live longer--get the darn tumor out of your neck! 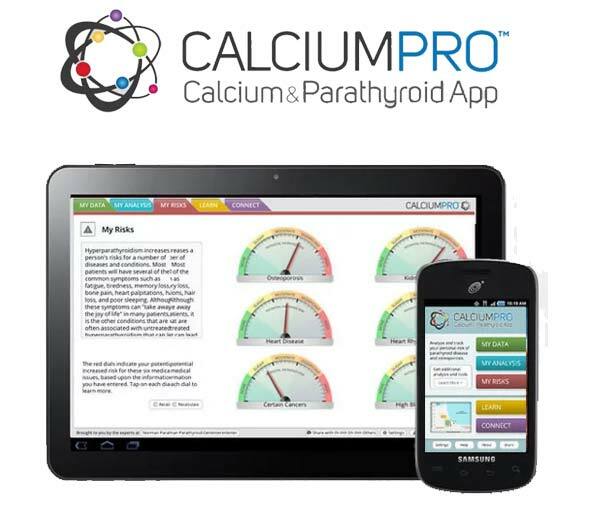 If you think you have this problem, then download the CalciumPro parathyroid app that was developed by Dr Norman and his team of experts. It will tell you if you have a parathyroid tumor (hyperparathyroidism), what risks you have, and what to do about it. It costs $2.99 which is less than a co-pay! 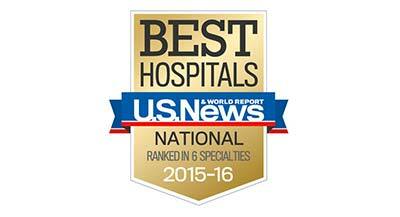 Was named top 3 medical app for 2014, 15, and 16. Watch our video of a parathyroid tumor removal in less than 13 minutes (total time). Learn about the NEW way of doing a much smaller, more successful mini-parathyroid surgery. Fix the problem in 20 minutes or less... and go home in an hour or two! 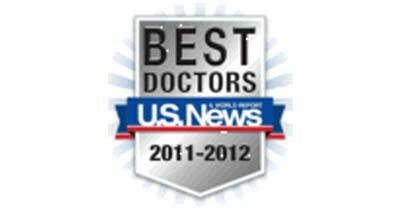 Read our "testimonial" page to see the stories of over 2,000 patients. Some great stories here! Read our blog about hyperparathyroidism being more deadly than high cholesterol. See more pictures of parathyroid tumors removed from people's necks. 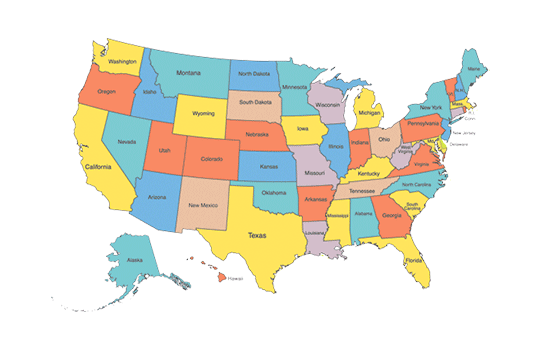 See our Map of where our patients come from; some are probably your neighbors!